Serving The Community Since 1969! In 1969, McFerrin Motors was established in Houston, Texas. McFerrin Motors is a family owned and operated independent automobile dealership which specializes in clean, quality late model cars and trucks. We offer great wholesale prices, view our inventory below...dealers welcome! In today's economy many people have bad credit. McFerrin Motors finances bad credit, no credit and slow credit! McFerrin Motors is a buy here pay here dealership, and no other dealer in Texas can match our experience in the second chance finance market. We specialize in helping our customers find the car or truck that fits their needs. Approximately 1/2 mile East of Highway 59 North. Directly across from the RaceWay Gas Station. 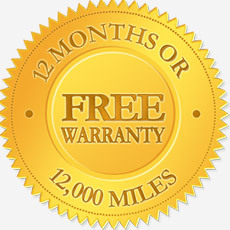 12 months or 12,000 miles on most vehicles! Excellent customer service with a full service shop and mechanics on duty. Click on the links to the right to download files. Fill in as much information as possible, sign, date and FAX to 1-281-446-0652, or simply bring the completed application and reference sheet with you when you come in. Files are in Adobe PDF format. You must have Adobe Acrobat Reader Version 5 or above installed on your computer to download and view these documents. Acrobat is free, click the link below if you need the software.